Share this product and receive a $2.70 sharing discount. 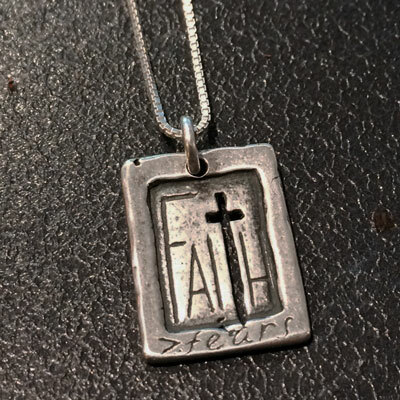 This unique piece of jewelry bears the word Faith with the "t" cutout in the shape of a sword that pierces the word "fears" under it. It reads "Faith > (greater than) fear" on the front. And on the back it says "do not be afraid". 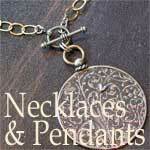 It measures 1/2" wide and 3/4" long. Comes on an 18" mini box chain.